England's first game at Wembley since their Euro 2016 exit is a very straightforward one against Malta. 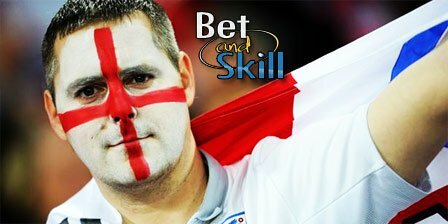 Read our England v Malta betting preview with free predictions, betting tips, starting lineups, team news, enhanced odds, bookie promotions and no deposit free bets on the World Cup qualifiers! Sam Allardyce led England to a last-gasp win over Slovakia last month in his one and only game in charge as Lallana conjured a last minutes goal to hand the first 3 points of the 2018 World Cup Qualifiers. Now Gareth Southgate is to take temporary charge of the next four games. The former U21 manager has been gifted the softest of opponents to ease himself into the job and England are expected to walk away from Wembley on Saturday night with a comfortable victory. Daniel Sturridge is likely to start as central forward in a 4-3-3 formation - Harry Kane is out through injury - with Theo Walcott and Marcus Rashford on his flanks while Wayne Rooney is expected to play in midfield. Eric Dier has been nursing an injury in recent weeks and may not start here. Ryan Bertrand and Danny Rose are in contention for a strarting berth as left back. Glen Johnson and Raheem Sterling have been withdrawn through injury and replaced in the team by Michael Keane and Andros Townsend. Malta's last game was at home to Scotland, and they were hammered 5-1 despite scoring an equaliser during the match. They extended their winless run to 11 consecutive games, and 15 consecutive competitive games. Anyway, the Maltese have only conceded more than two goals in two of those matches. They have noticeably only lost to Italy 1-0 on two occasions in the last two years. Pietro Ghedin will play with a 4-5-1 formation in which Alfred Effiong will be the lone striker. Rowen Muscat, Bjorn Kristensen, Gareth Sciberras and Paul Fenech are expected to start in the middle of the park. Jonathan Caruana and Luke Gambin were sent off in Malta's opening World Cup qualifier against Scotland and will miss out here through suspension. England (4-3-3): Hart; Walker, Stones, Cahill, Bertrand; Henderson, Rooney, Alli; Walcott, Sturridge, Rashford. Malta (5-4-1): Hogg; Camilleri, Zerafa, Borg, Scicluna, Agius; Muscat, Fenech, Sciberras, Kristensen; Effiong. "England v Malta predictions, betting tips, lineups and free bets (World Cup qualifiers - 8.10.2016)"